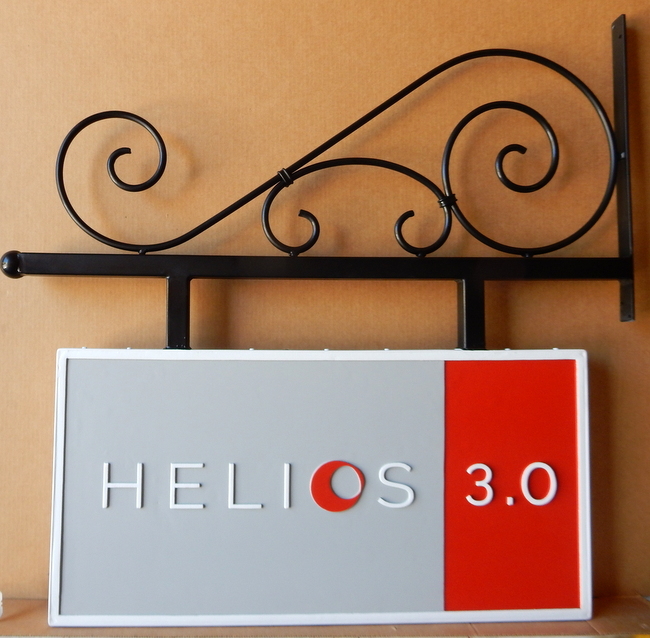 Shown above is a carved, High Density Urethane sign made for a retail store. This sign features the store's name with Helvetica font carved in raised 2.5-D (flat relief). The background is smooth.The sign is then painted with long-lasting automotive-grade enamels and clear-coated twice, making it ready for either indoor or outdoor use. The sign is supported with a custom wrought iron scroll bracket.